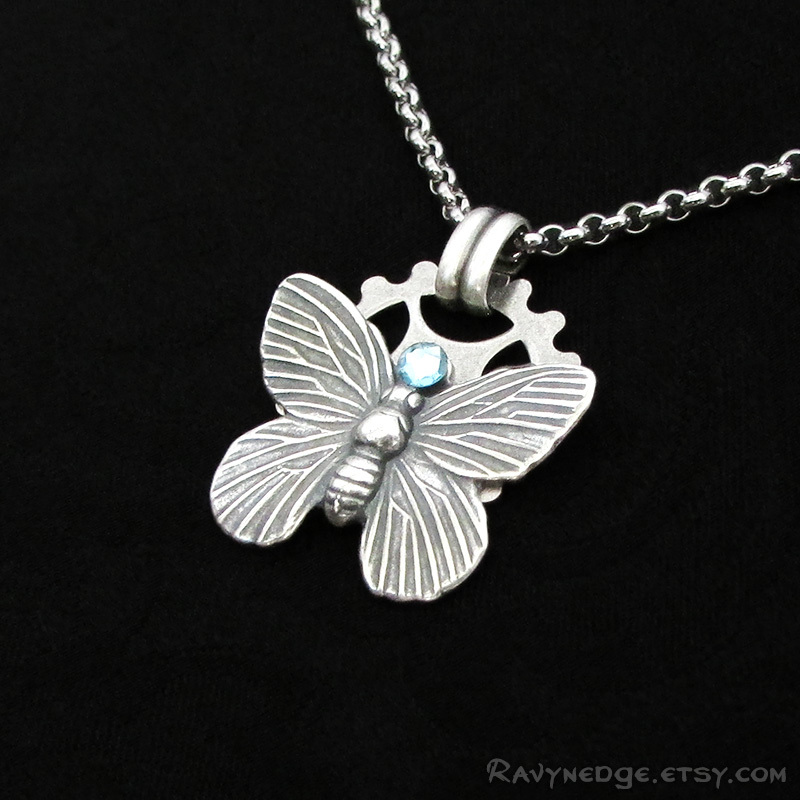 Time Flutters Pendant - Silver Butterfly Steampunk Necklace by RavynEdge. 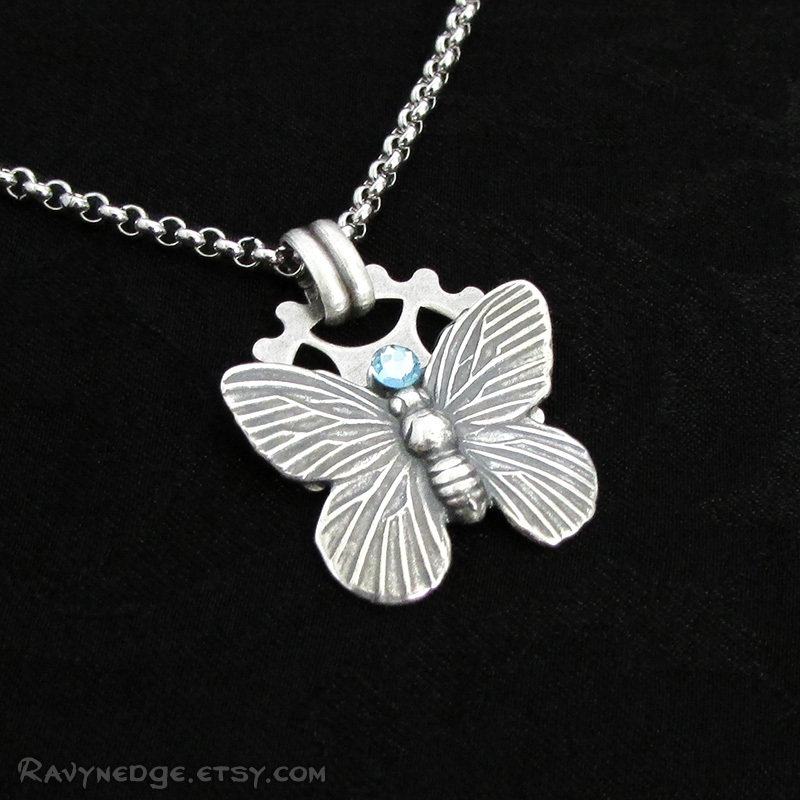 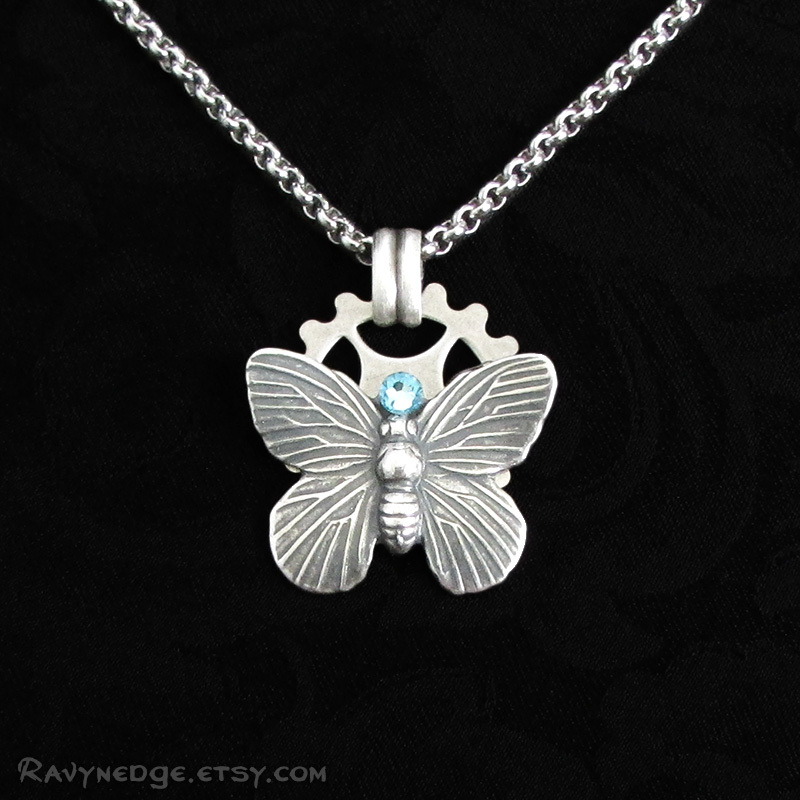 Time Flutters is a cute, elegant, and subtley steampunk necklace featuring a detailed butterfly fasted to a gear and accented with a tiny aquamarine Swarovski crystal. 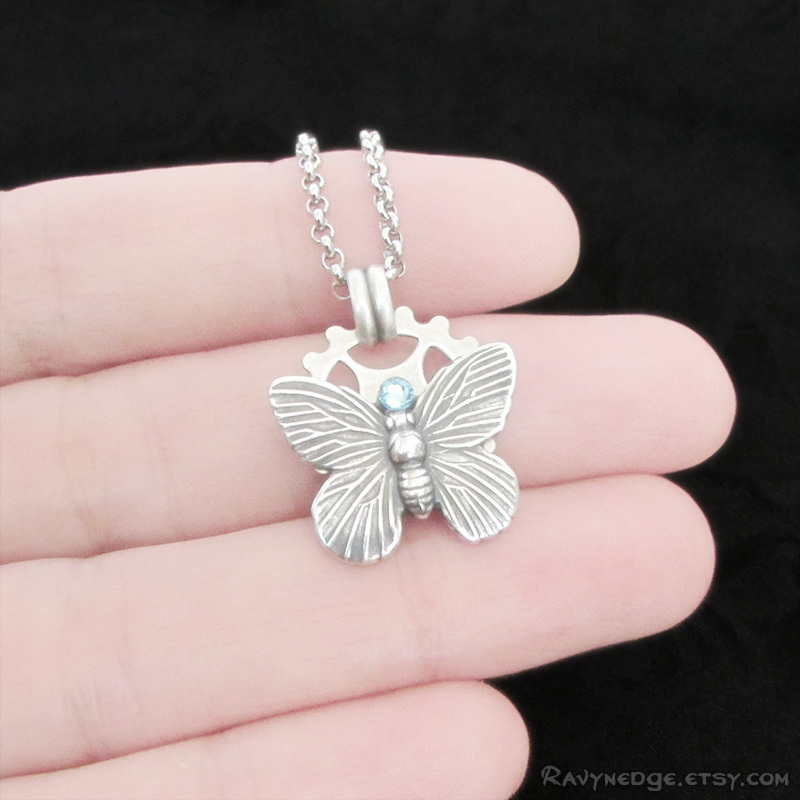 The pendant is sterling silver plated brass and measures approximately 0.91 inches (23mm) from the top of bail and 0.75 inches (19mm) wide. 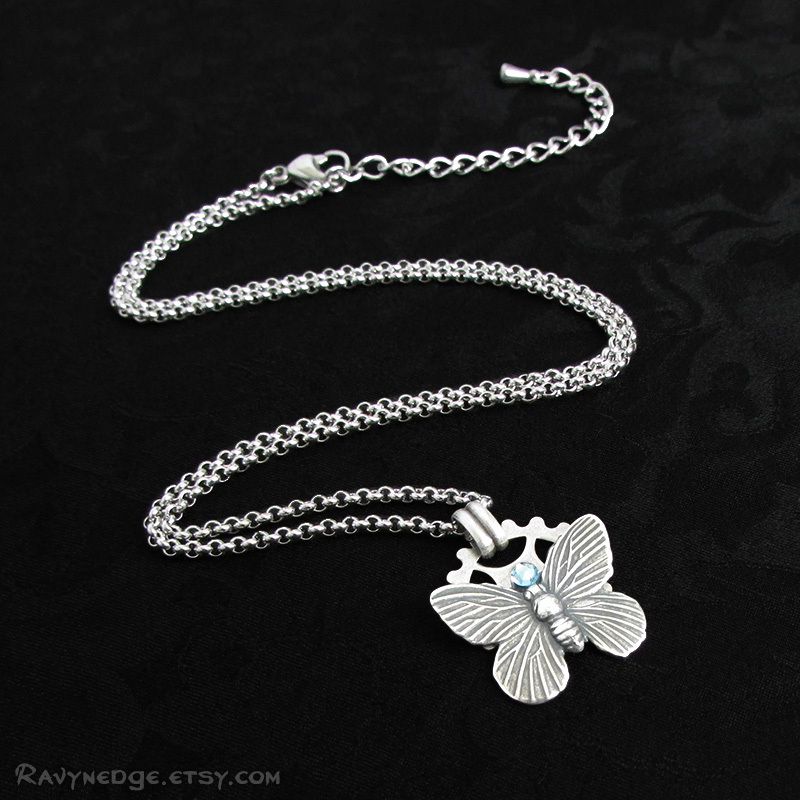 The tarnish resistant stainless steel chain adjusts from 16 to 18 inches (40.6 to 45.7cm) and closes with a lobster clasp.